Brian Lamb with a box of his newly-published book. · One Book. One Author. One Hour. Brian Lamb with a box of his newly-published book. 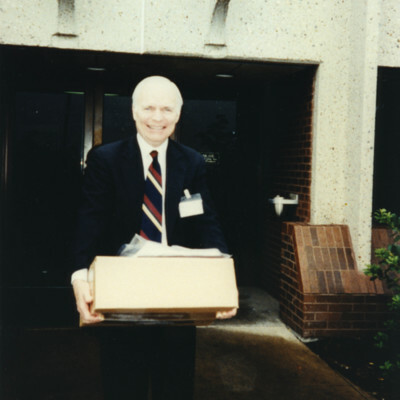 Unknown, “Brian Lamb with a box of his newly-published book.,” One Book. One Author. One Hour., accessed April 24, 2019, http://booknotes.gmu.edu/items/show/3014. 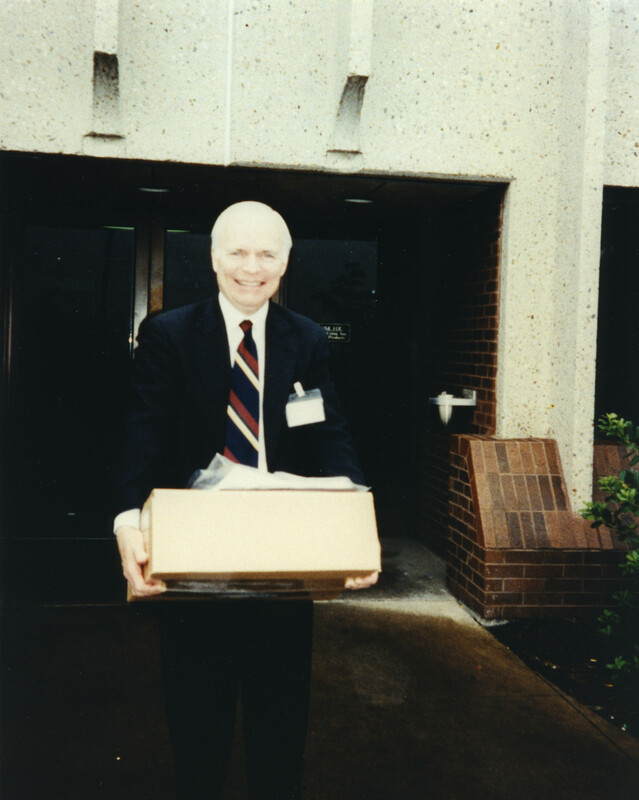 Brian Lamb carrying a box of copies of the Booknotes book at the R.R. Donnelly plant in Harrisonburg, Virginia.